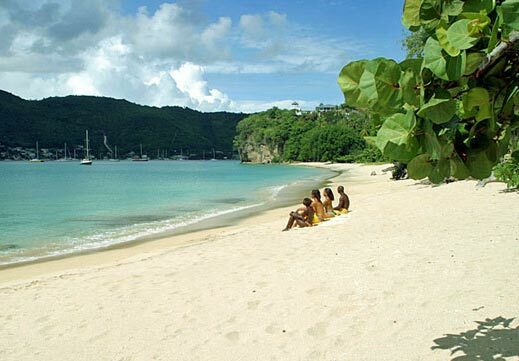 Bequia is a unique island when it comes to beaches. Forget the usual idea of being in a large hotel on one strip of beach where you fight for a deck chair each day. 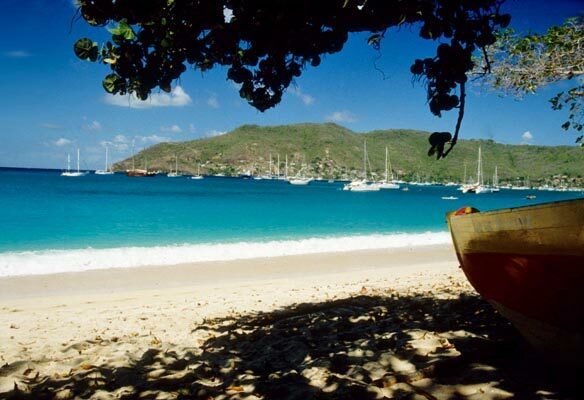 Bequia has many different beaches all close together. 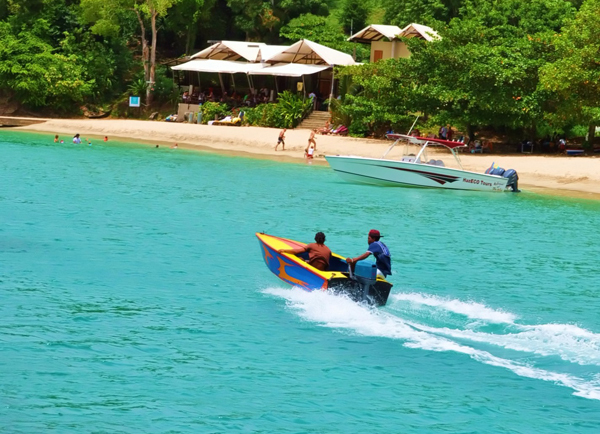 From wave and surf action in your kayak or kite surfer on the windward side to the tranquil family beaches on the leeward side, Bequia has something for everyone and you will want to visit them all. Best of all, many beaches are so secluded that you may not see another living soul. Ahhhh, paradise. From Spring Hotel, it’s a short walk or ride down the hill to Spring Bay Beach where you are almost guaranteed to have the beach all to yourself. Spring Bay and Crescent Beach are next to one another on the Eastern side of the island. This is the quieter and more remote Atlantic side of Bequia where you will find former sugar plantations and palm tree-lined scenery. 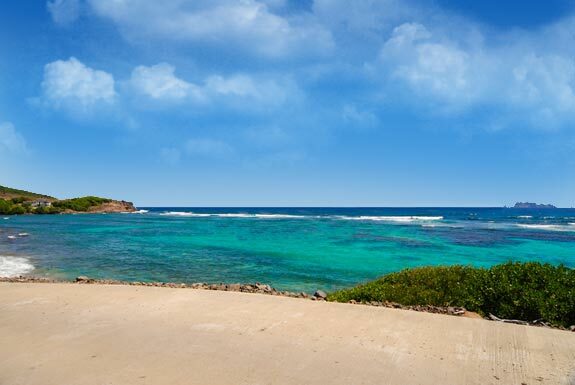 Further along the coast will bring you to Crescent Beach (formerly Industry Bay) where you can relax in the privacy of an idyllic beach or enjoy the excitement of kayaking in the waves crashing off the reef. Crescent Beach is a pleasantly protected from the waves by the reef. A local beach bar offers food and drink, but the beach is almost always deserted. Perfect for snorkeling and windsurfing. A visit to Princess Margaret Beach is always a wonderful choice! 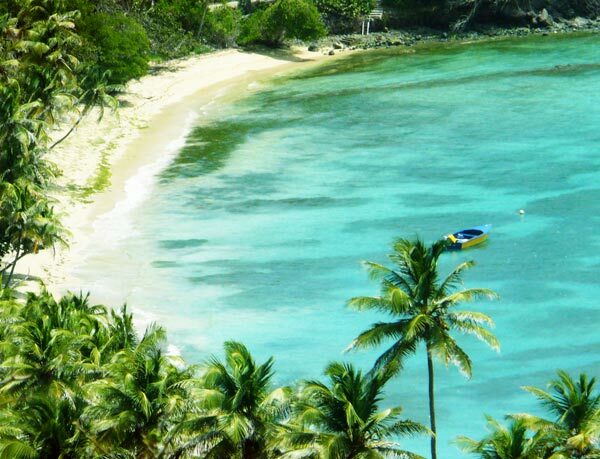 Located just below Belmont, it is one of the best beaches in Bequia and a safe and popular place for any beach activities. This serene stretch of sand is a good place to sunbathe, swim or snorkel. Bring a picnic with you or head back to the restaurants along the Belmont Walkway for lunch. Lower Bay is a great beach for families to swim, kayak, snorkel, or just relax. There are several restaurants with music playing, especially on the weekends. The beach area comes alive as the locals bring their boats out, mix with catamarans anchored barely offshore, while water taxis travel back and forth. Lower Bay is perfect for those looking for a great family oriented beach experience. Another palm-shaded, undeveloped, sandy beach, Park Bay is also home to the Old Hegg Turtle Sanctuary. It makes for interesting snorkeling among the many coral heads. The current will take you on an exciting swim around the headlands to Industry and then Spring Bay. Be sure to go in pairs and wear a life jacket! 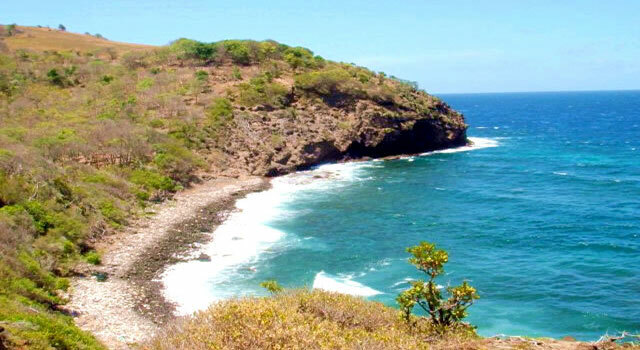 Ravine Bay lies south of Bequia’s tallest peak, between Friendship and Hope Bays. Ravine Bay is not accessible by car, is quiet and peaceful, with a broad landscape of sand and great waves. Ravine Bay also has its own blowhole, formed by the Atlantic waves over many years. Friendship Bay is a short ride from town and features a long, wide sweep of beach favoured by the locals. 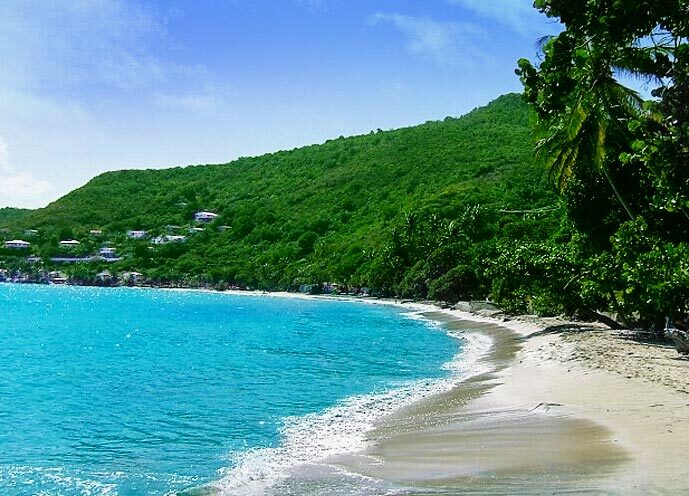 There are increasing numbers of hotels and bars along this beach making it a more social location for a day at the beach, but still remains quiet and is never crowded..
Admiralty Bay lies on the sheltered west side of the island and is known locally in Bequia as “the harbor”. The horseshoe bay offers good protection from the weather for visiting yachts & local ferries which run between the Grenadine islands on a regular basis. 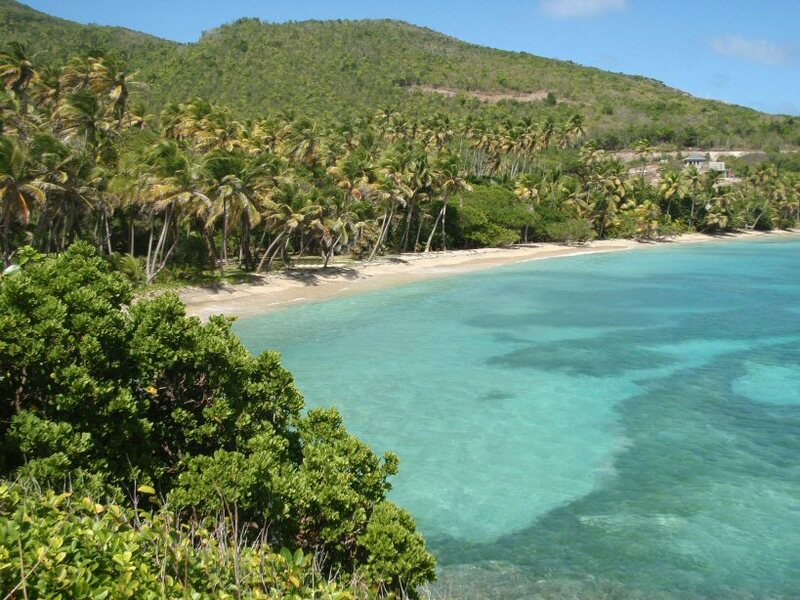 Those seeking a beach offering scenery and seclusion will surely enjoy Hope Bay. If you really want to get away from it all, head to this beach along the island’s eastern coast. It has rather shallow waters and a long line of breakers from the Atlantic Ocean which makes it ideal for body surfing and windsurfing. A thin strip of sand separating the water from a number of popular restaurants and bars along the Admiralty Bay harbor front. Under water at high tide and more of a walkway than a beach for relaxing, it is used by the diving equipment shops for scuba training. Located next to Adams Bay Beach on the southern side of the island, and has great views of the Southern Grenadines. A white sand semi-secluded beach, it is generally calm, clear and shallow, with lots of beautiful shells. Best reached by vehicle and a short walk, it is near the airport, but has no facilities. Only for the true adventurer or explorer who wishes to go where few have gone before. Hike up the hills behind Park Bay and cross over to L’Anse Chemin, a beautiful uninhabited bay on the island’s west coast. Very seldom used. Just to the northeast of Park Bay and beyond the turtle sanctuary is dramatic Sal Bay, where the reef wraps around the headland and reaches toward shore. If you are looking for a remote beach with a difference, Sal Bay could be worth a look. Tends to be windy. Located on the southern side of the island between the airport and Moonhole, if you want to try swimming with manta rays! Bullet Bay and Shark Bay offer some spectacular views and unique places to explore in a kayak on the northernmost windward side of the island.